and copying expense items manually. The expense processing system flow is designed to minimise administration costs and improve communication between contractors and approvers via several simple steps. Contractor – scans receipts and uploads for approval against relevant contract. Approver – designated approver is notified of expenses needing approving and receives online report showing all expenses against contract and contractor. 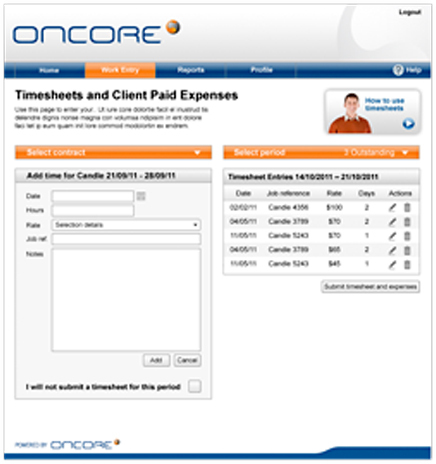 Client – receives online capture and approval, with centralised reporting of expenses.